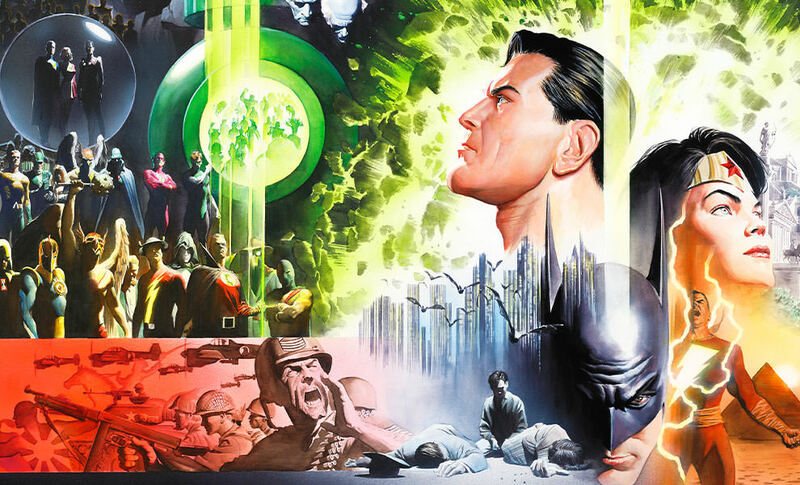 Sideshow and Alex Ross Art are proud to present the History of the DC Universe Fine Art Lithograph. Originally illustrated as a book cover to the expansive History of the DC Universe guidebook, this dramatic composition pays heroic homage to the origins of DC’s most beloved characters. 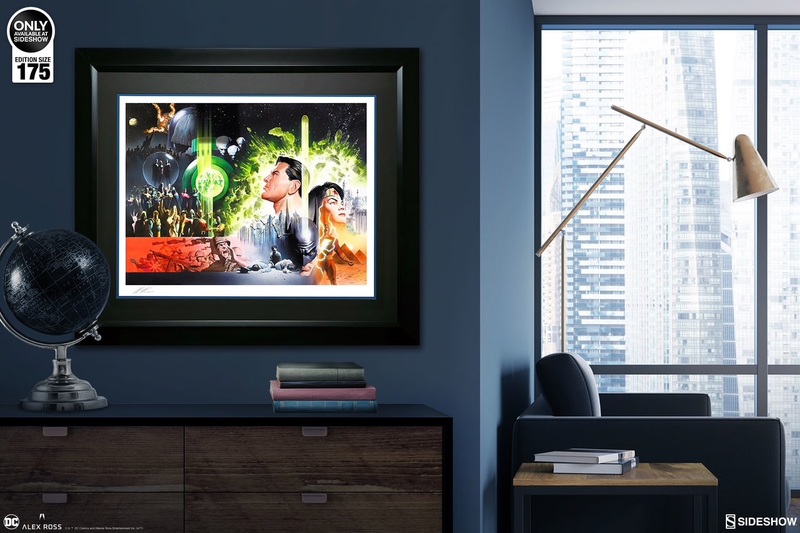 The History of the DC Universe Fine Art Lithograph captures the evolving scope of the DC Universe, from the destruction of Krypton to the death of the Waynes, to the foundation of heroic organizations like the Green Lantern Corps, the Legion of Superheroes, and the Justice League. The dynamic illustration honors DC heroes like Wonder Woman, Batman, Shazam, Superman, and more while the mysterious figure of Darkseid and planet Apokolips signal a darker horizon to this expansive universe. 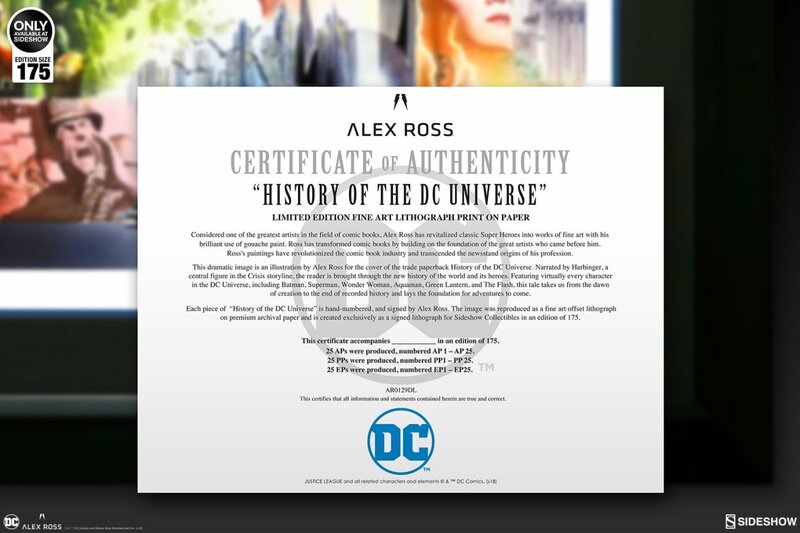 Each History of the DC Universe Fine Art Lithograph will be hand-signed by Alex Ross and includes a Certificate of Authenticity as a part of the limited edition of 175 pieces. 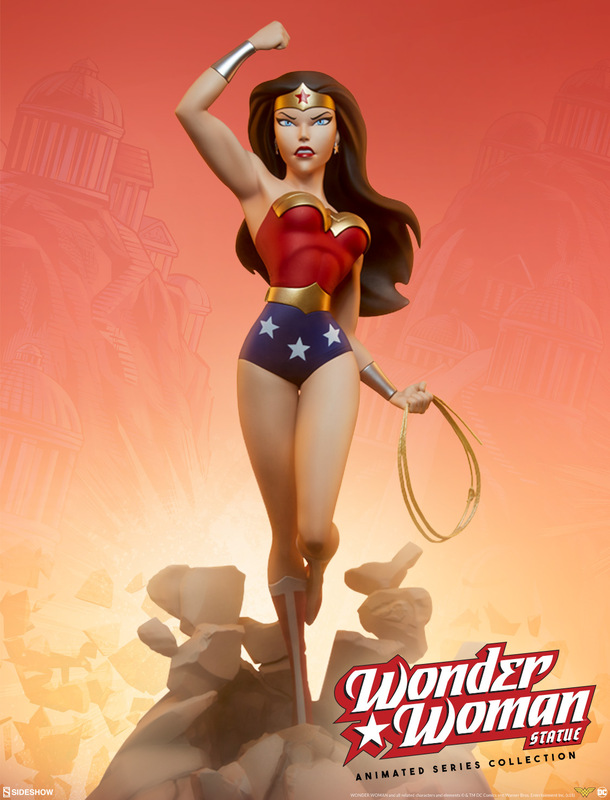 This fine art DC collectible makes an unforgettable addition to any fan’s personal collection. Preorder the unframed print for $150 or the framed print for $365. 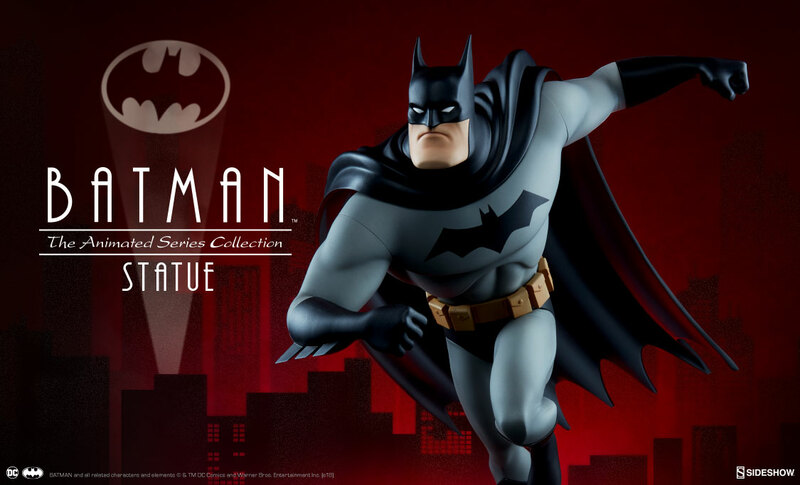 Sideshow is very excited to announce a brand new line that will delve into the animated series world of DC Comics! Batman along with Wonder Woman and Superman, will be the first three offerings in this line! 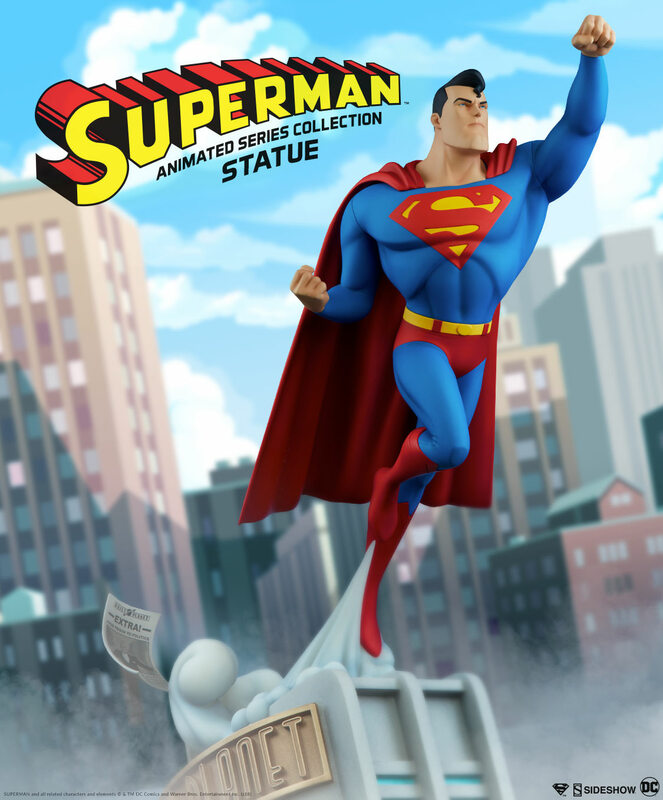 Pricing and full product info for the new series of limited-edition statues inspired by DC’s Animated Series have not yet been revealed, but you can RSVP at Sideshow’s site to stay up to date on all the latest information. Joker and Harley Quinn, will be released at a later date in the collection. Sideshow is teaming up with Prime 1 Studio for a new San Diego Comic-Con 2017 Exclusive. 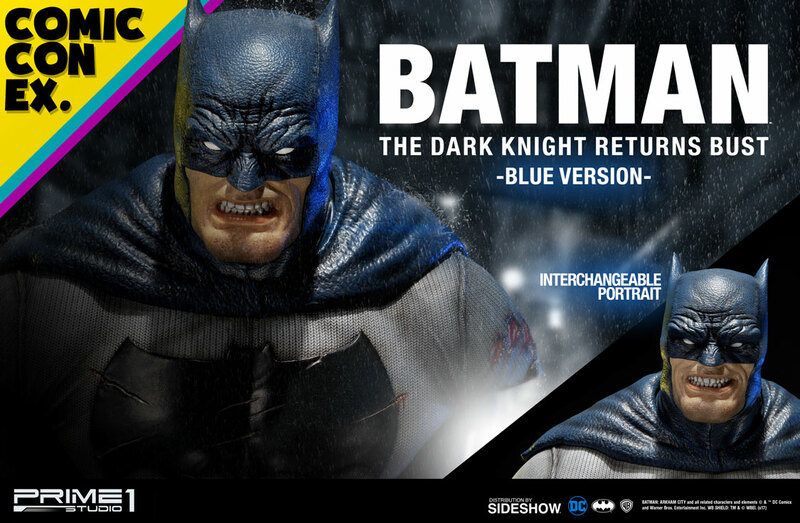 The Batman: The Dark Knight Returns “Blue Version” Bust is Sideshow’s first Comic-Con 2017 Exclusive. Sideshow has shared a preview image for the bust. They will be opening pre-orders on Thursday, June 22, 2017 sometime between Noon and 3:00 PM Pacific Time.